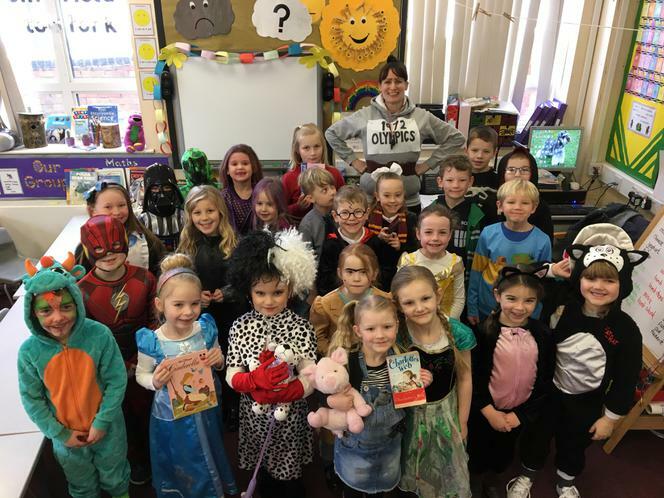 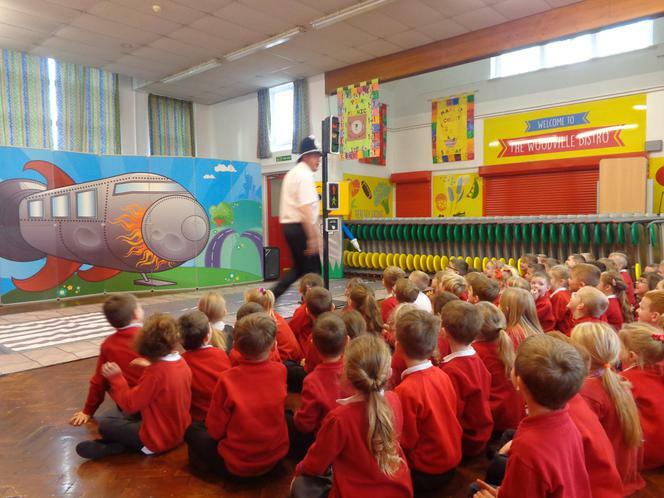 Rachel Greaves, author and illustrator of the Ruffles the rail dog books, joined us today for an assembly and introduced us to the characters in her books. 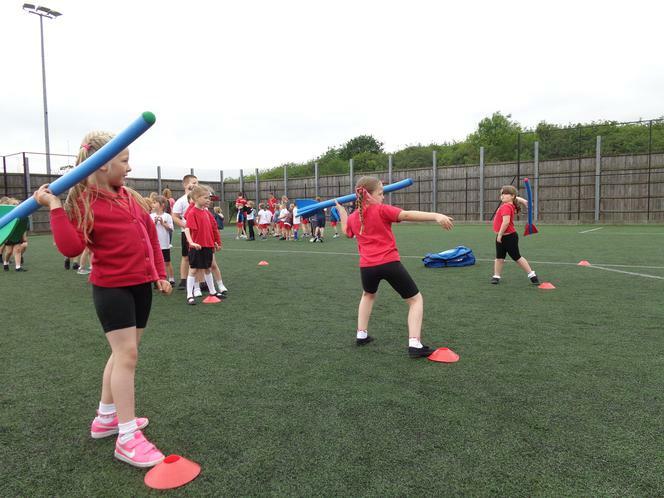 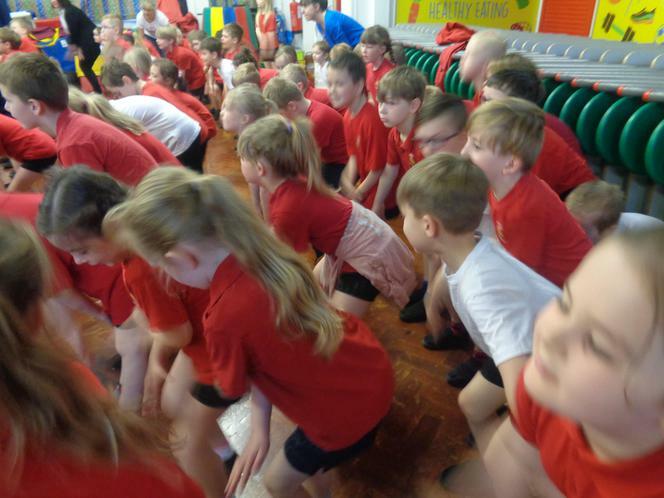 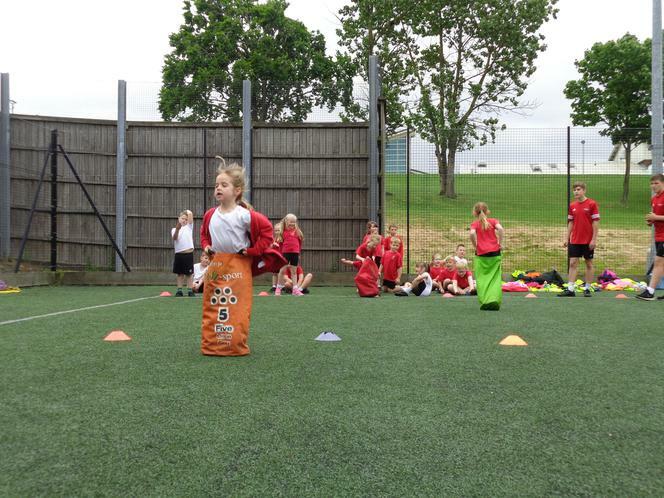 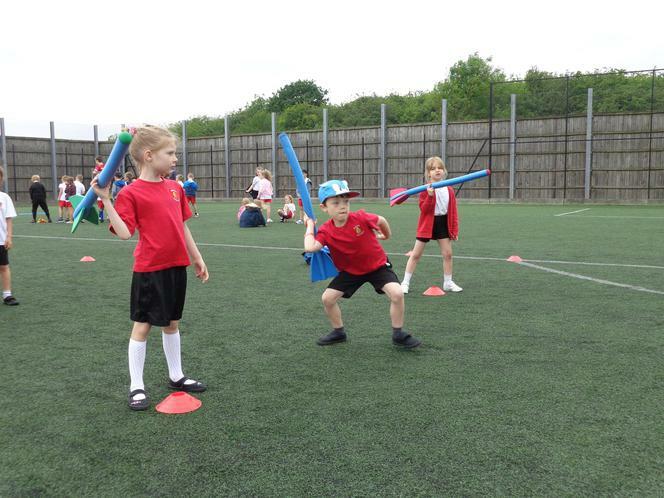 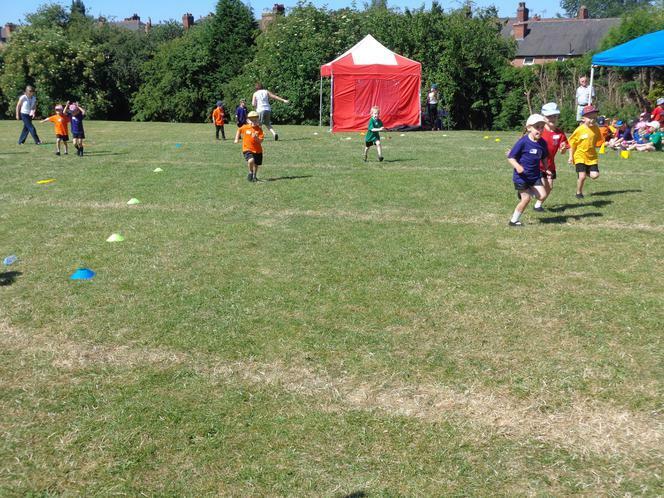 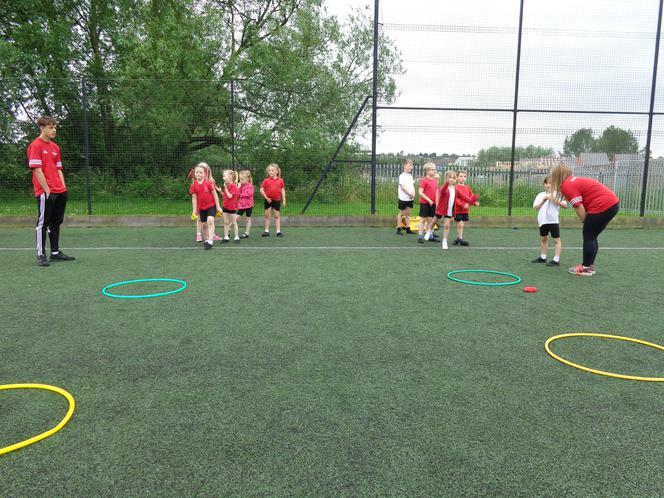 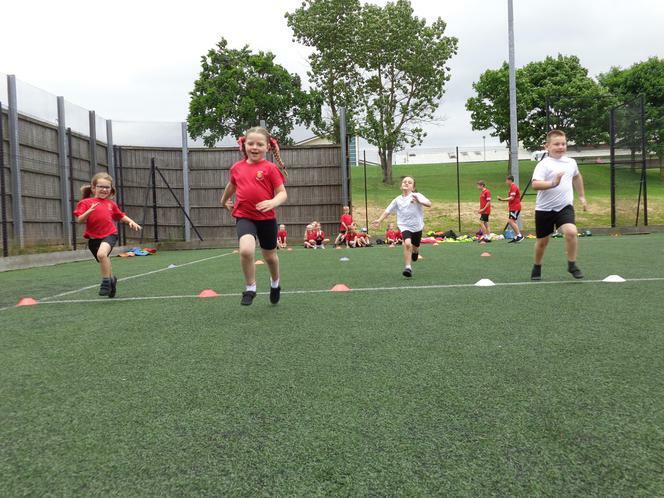 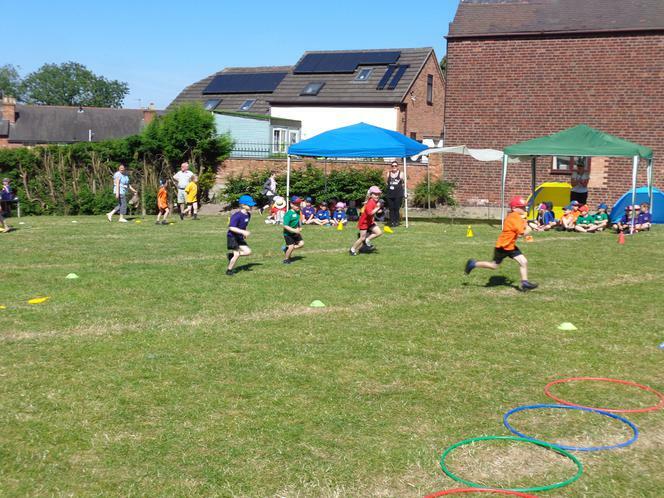 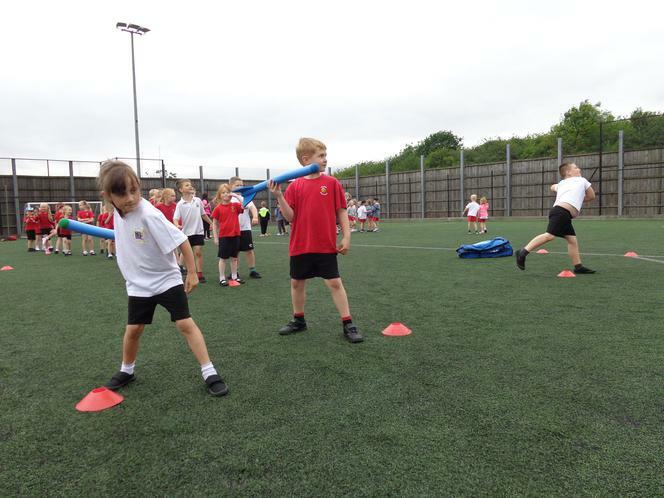 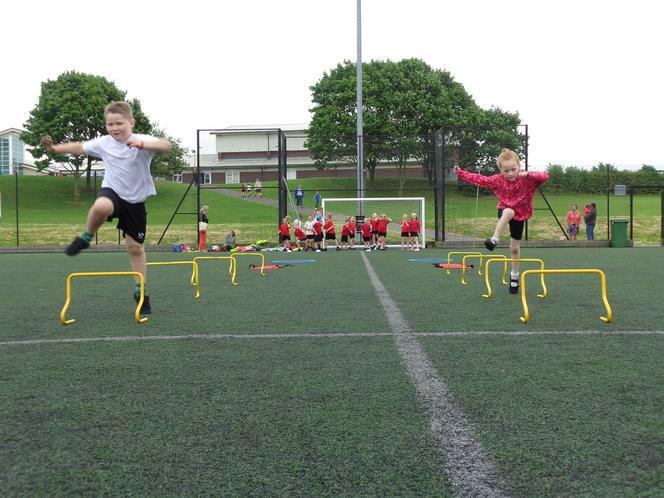 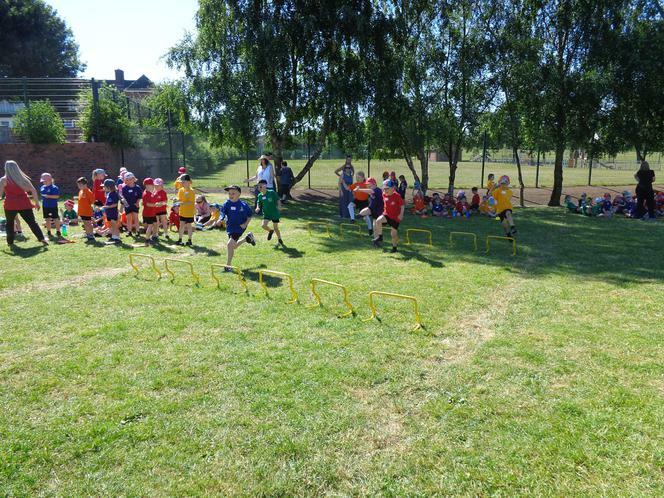 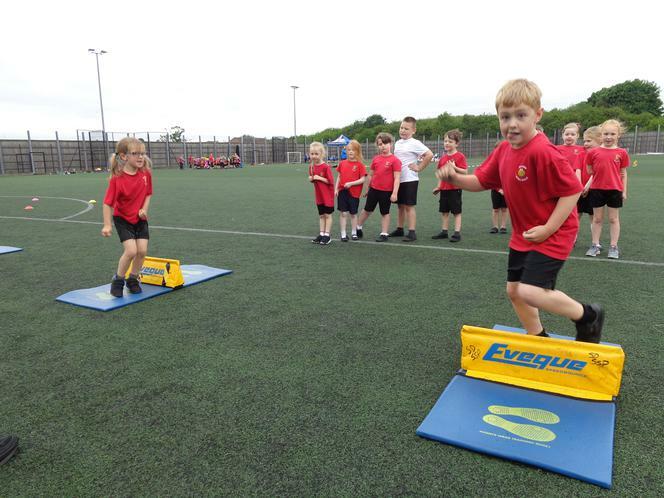 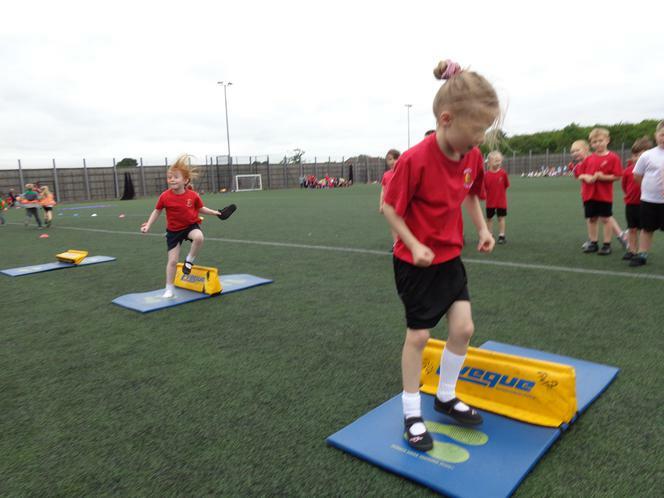 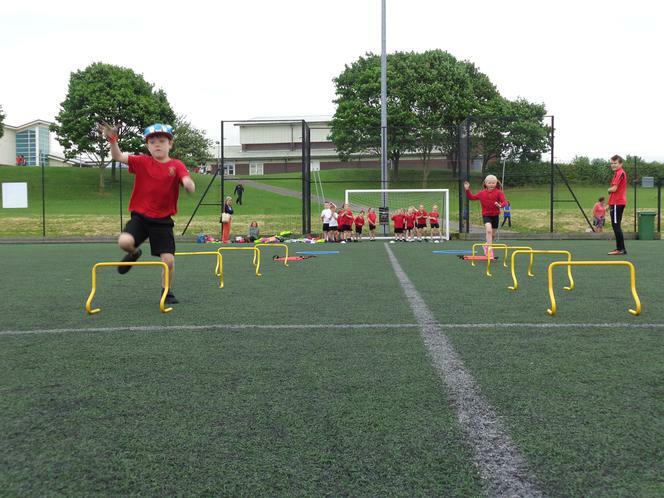 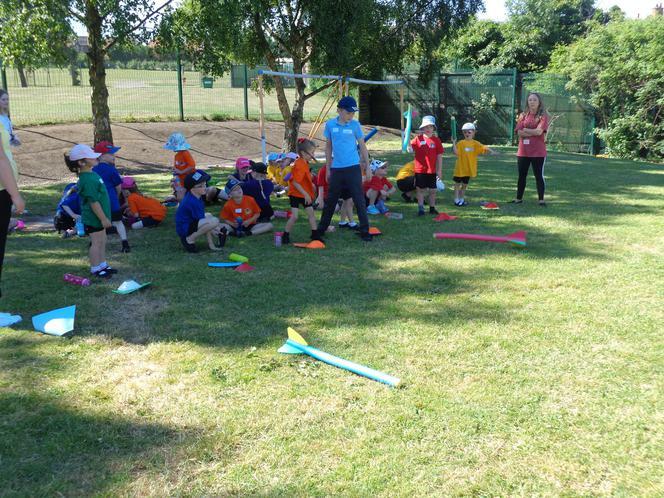 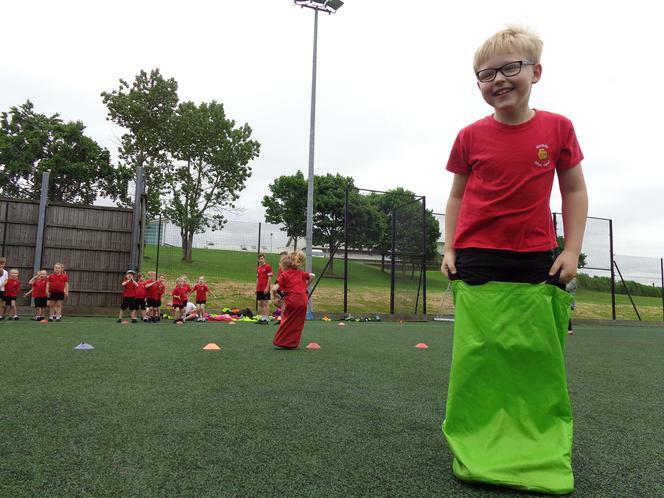 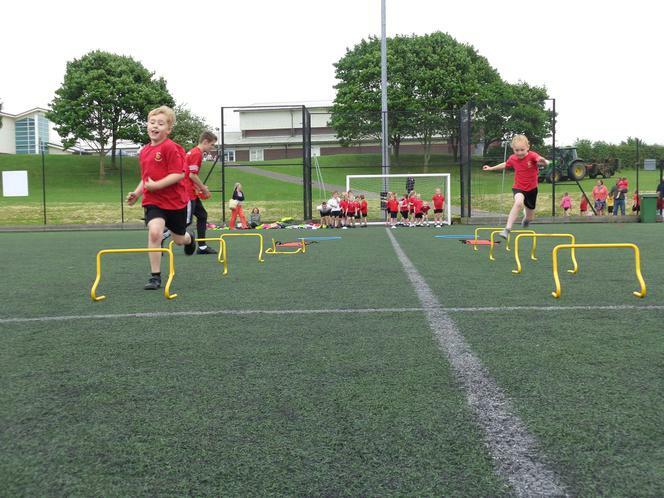 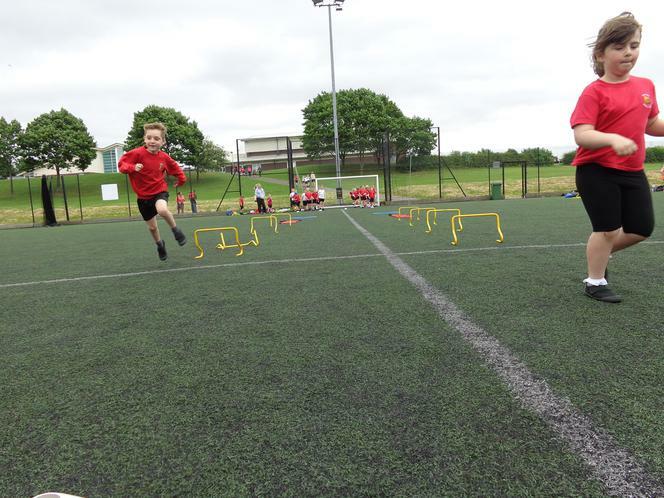 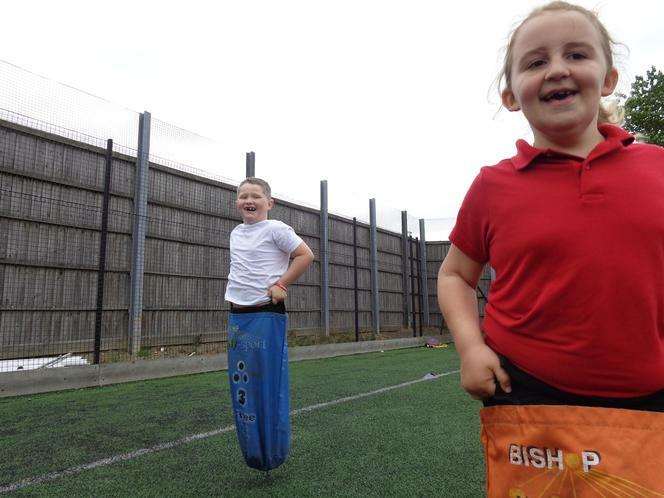 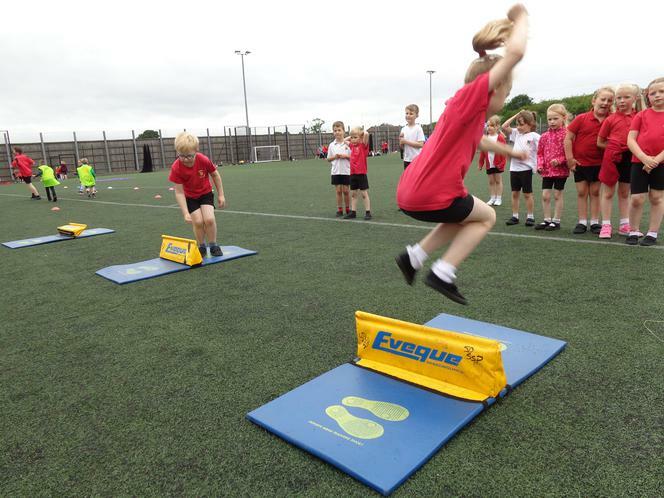 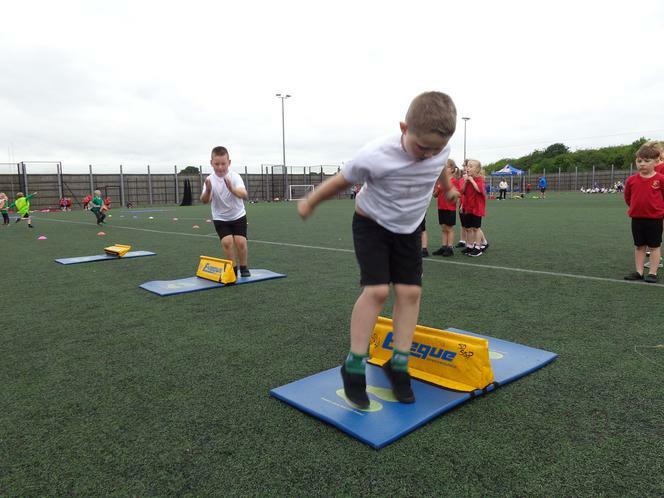 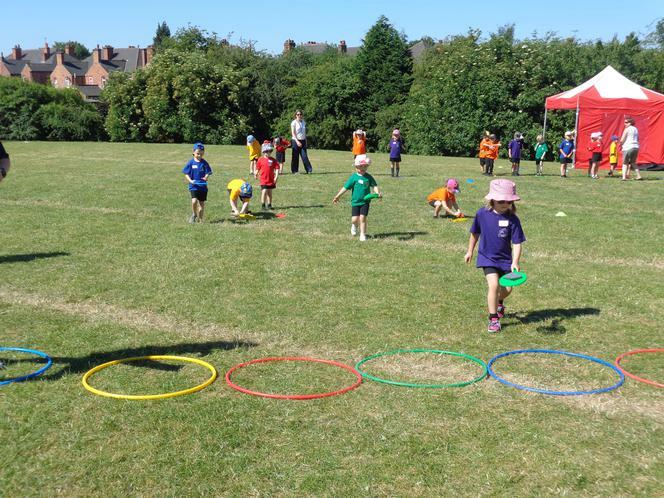 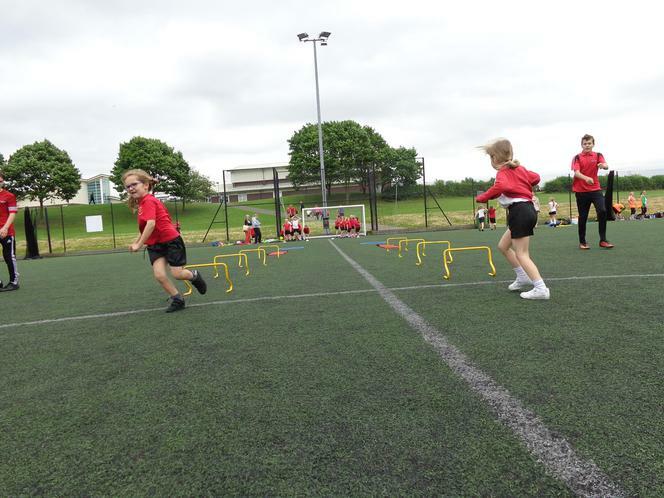 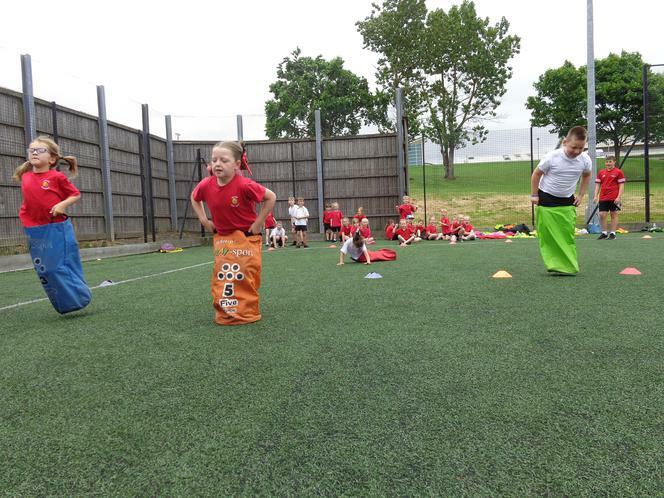 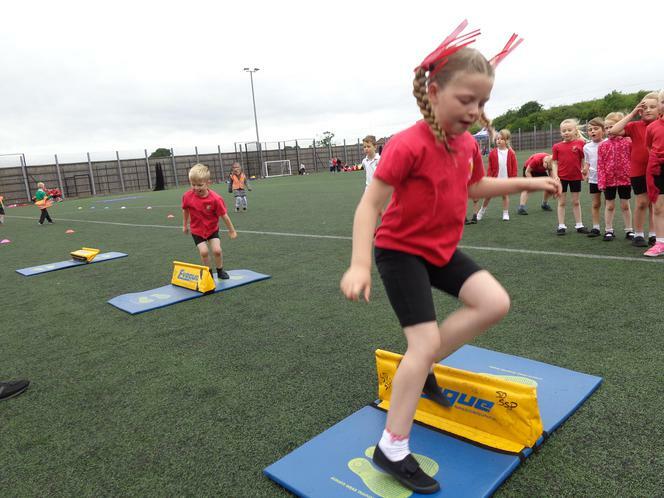 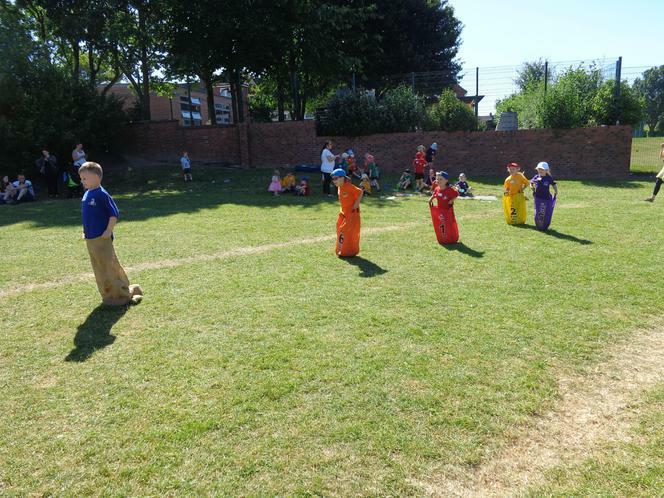 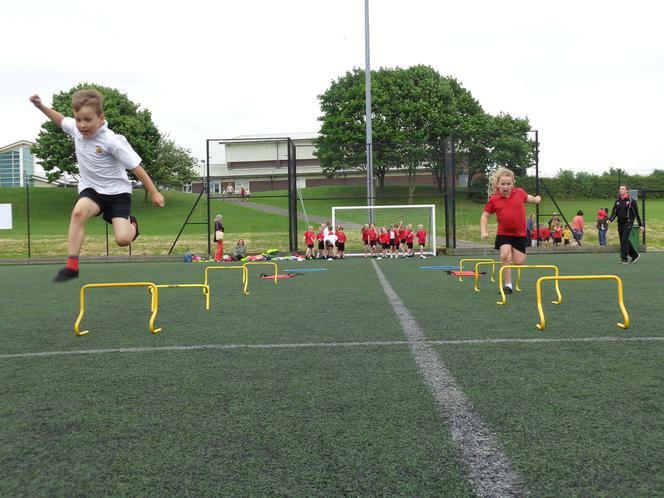 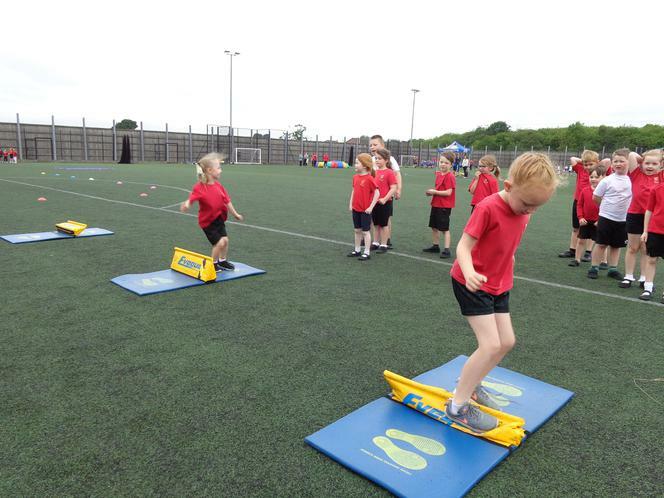 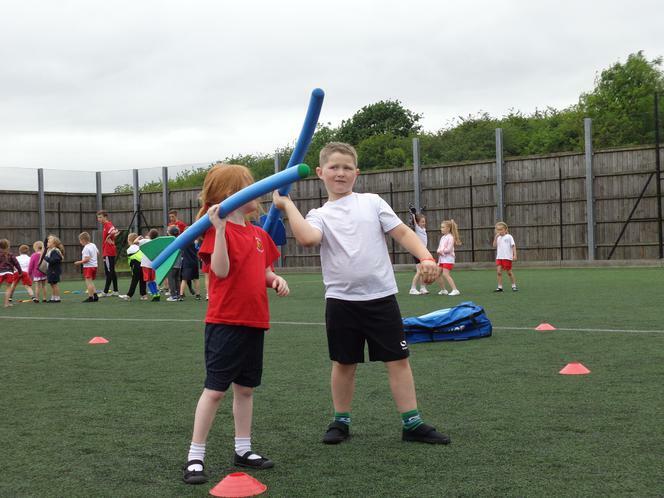 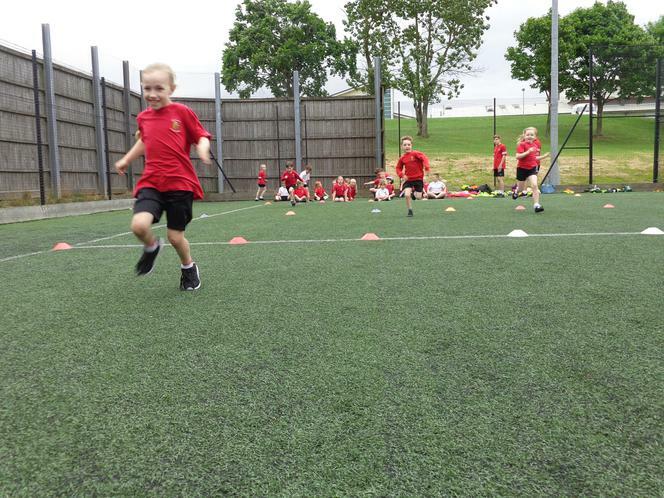 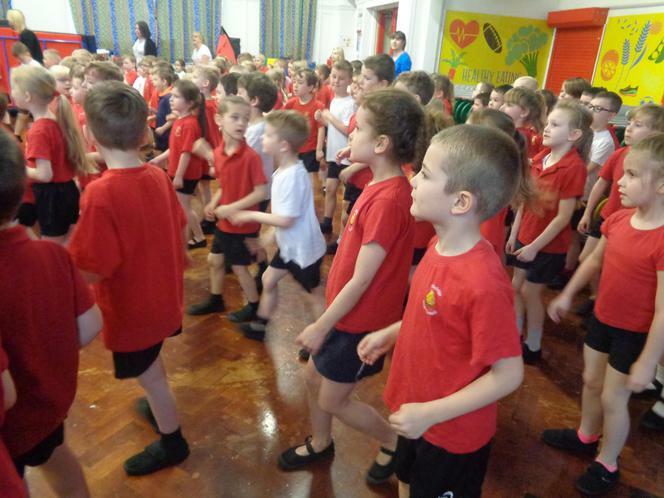 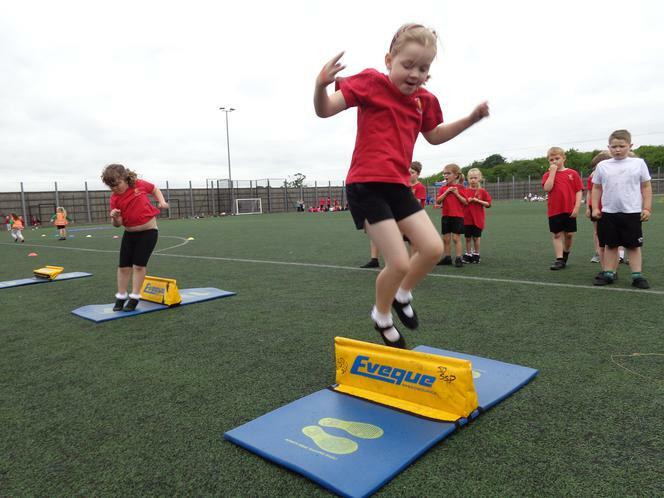 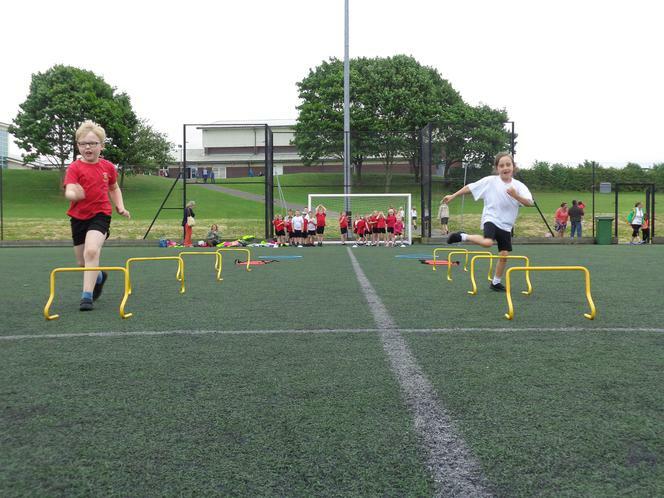 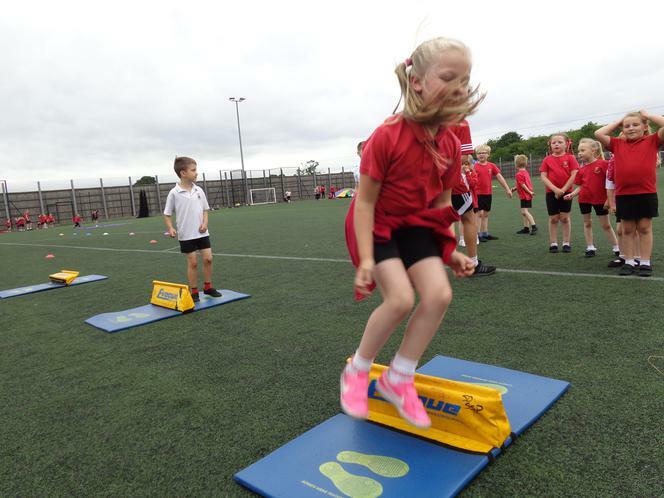 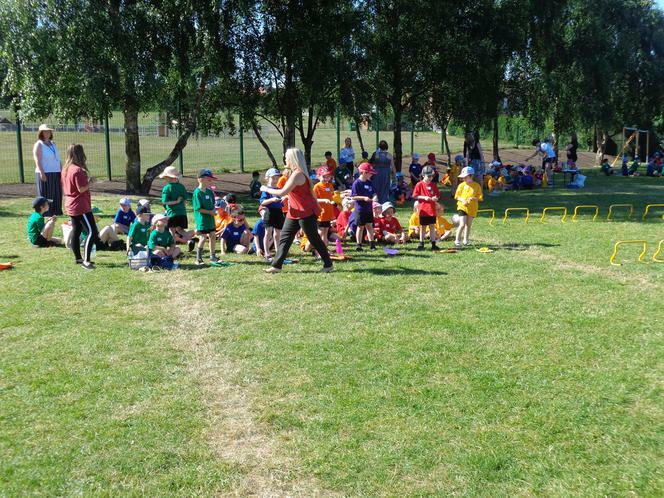 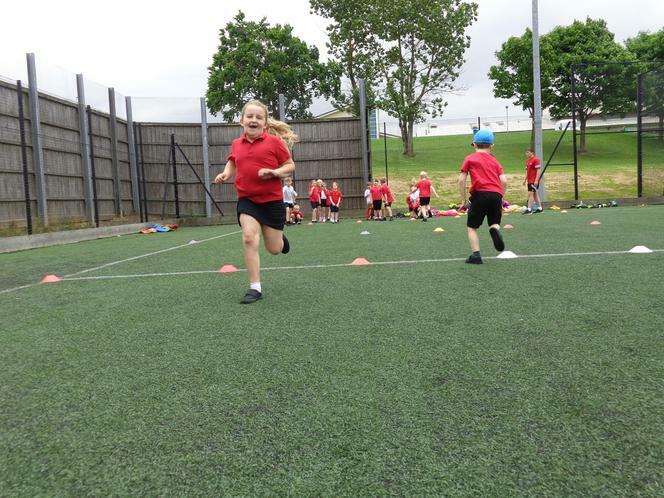 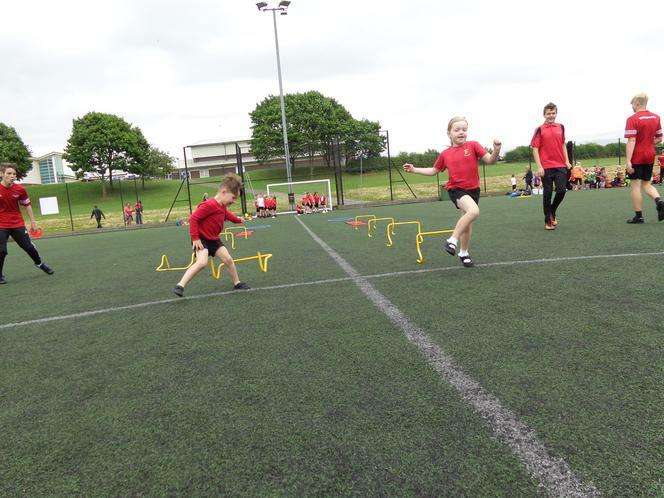 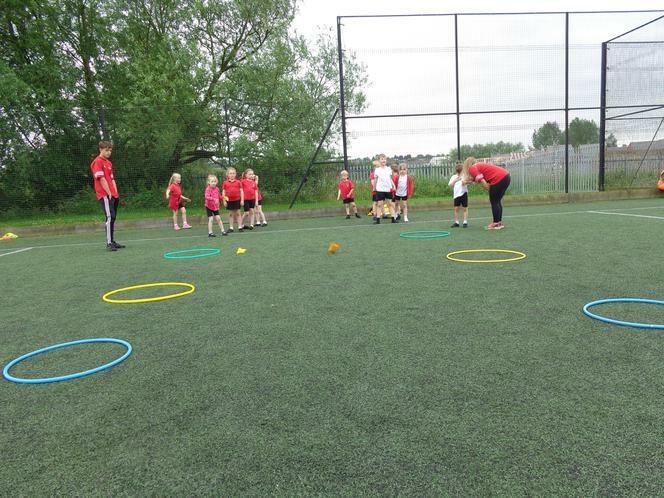 Well done to all the children (and staff) who took part in ACES (All Children Exercise Simultaneously) Day. 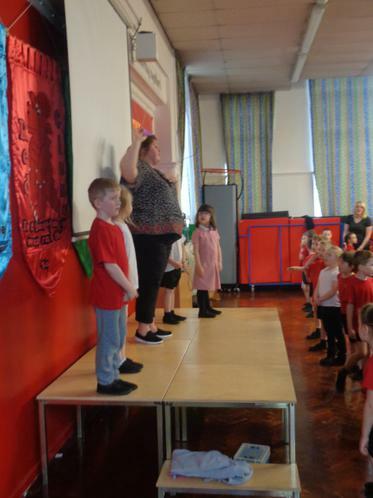 Thanks to Miss Galpin who led us. 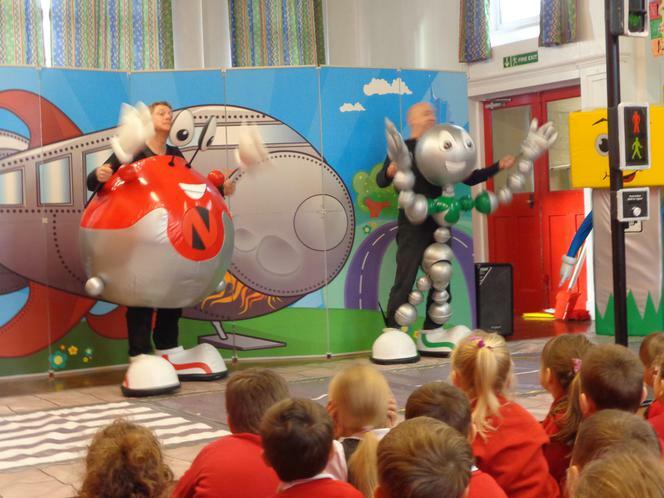 Today KS1 watched a performance, 'Togo and Nogo', by the Quickfoot theatre company. 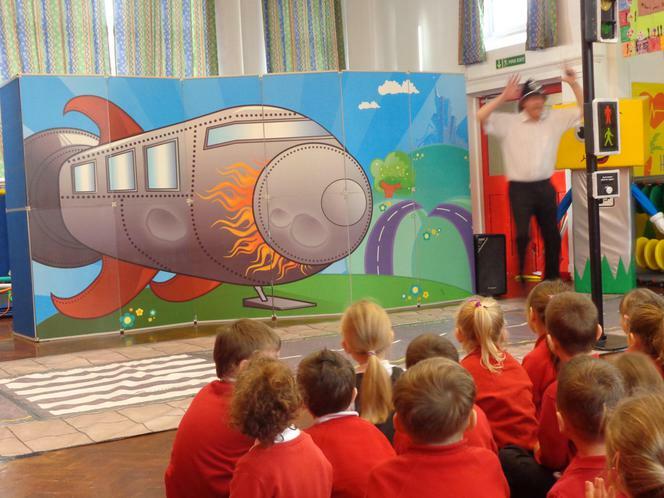 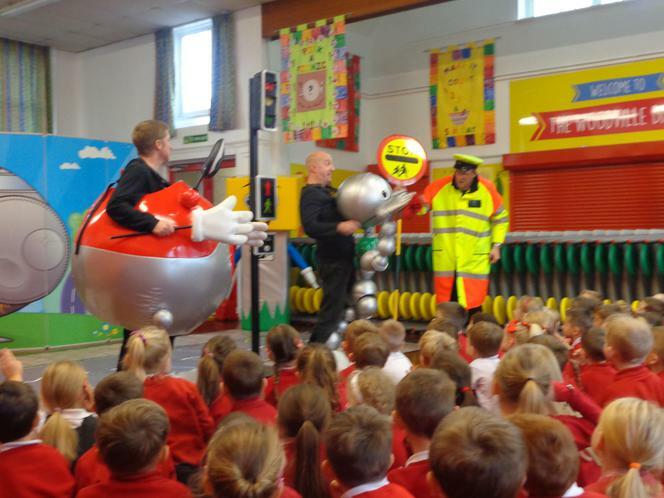 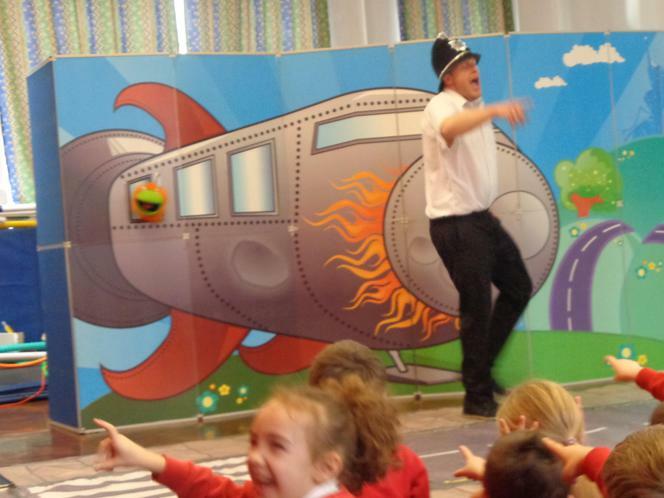 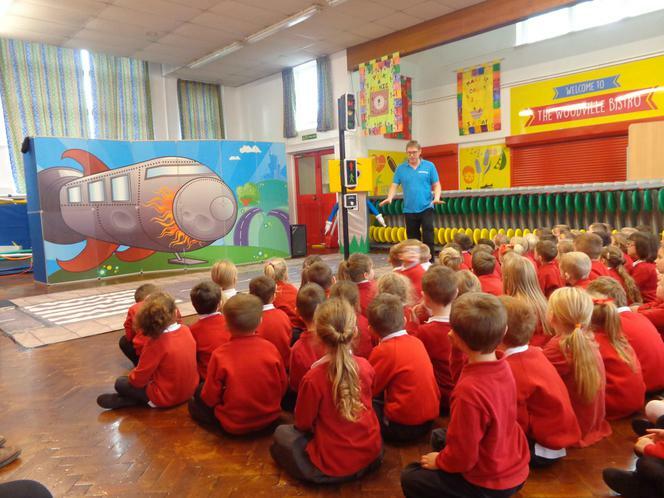 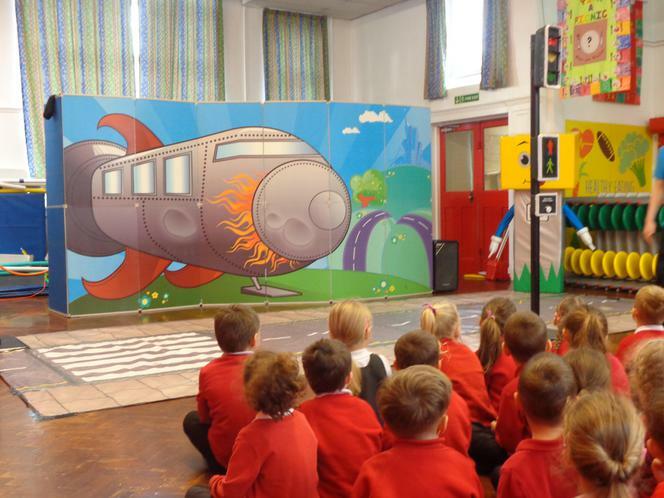 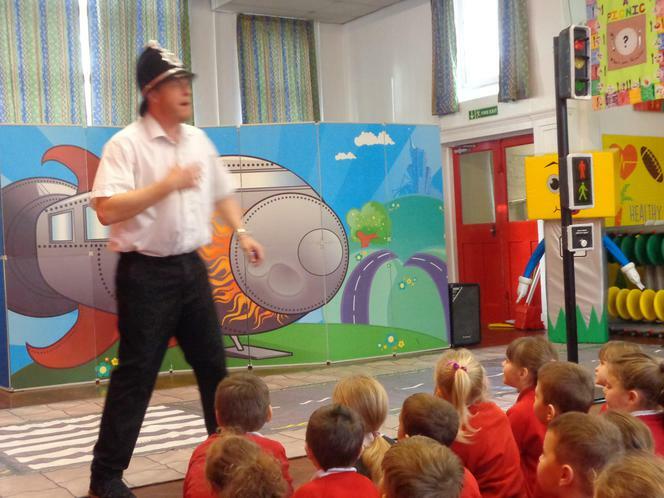 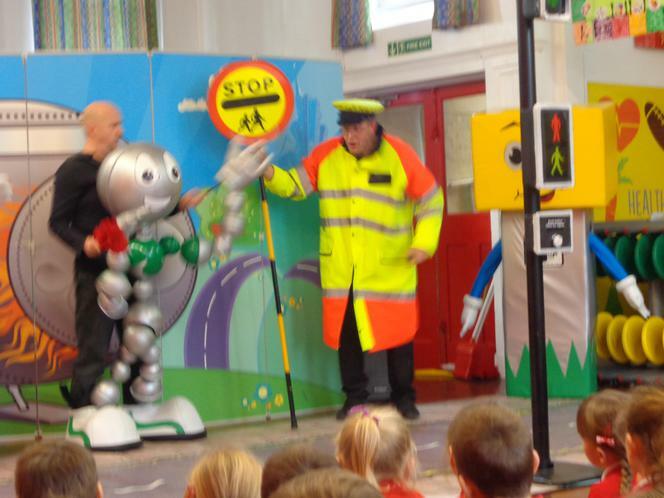 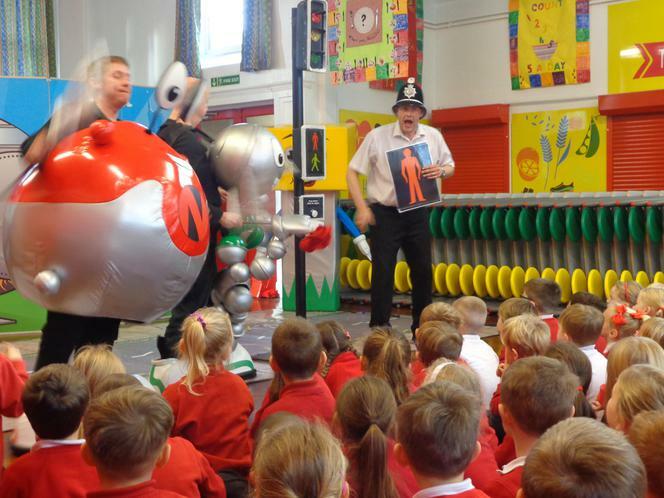 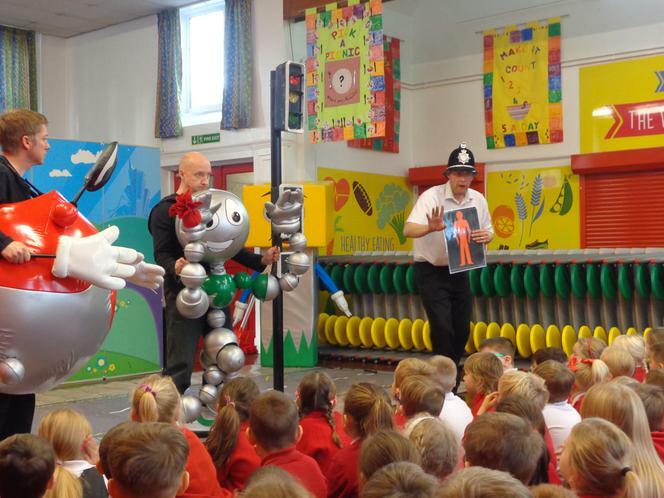 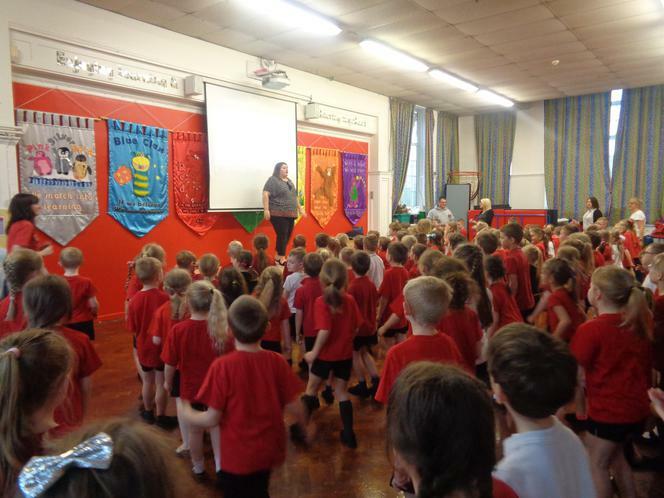 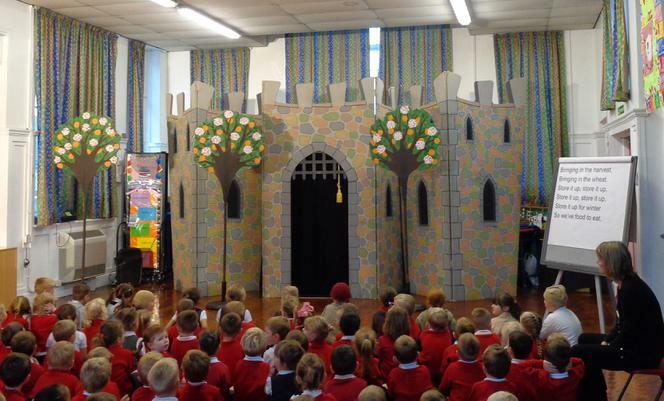 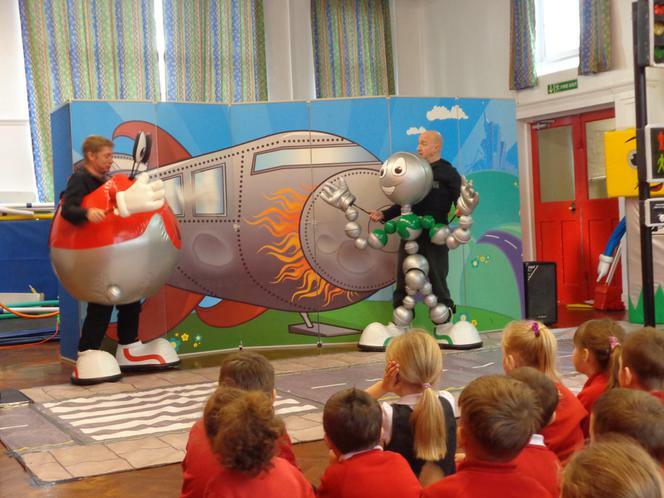 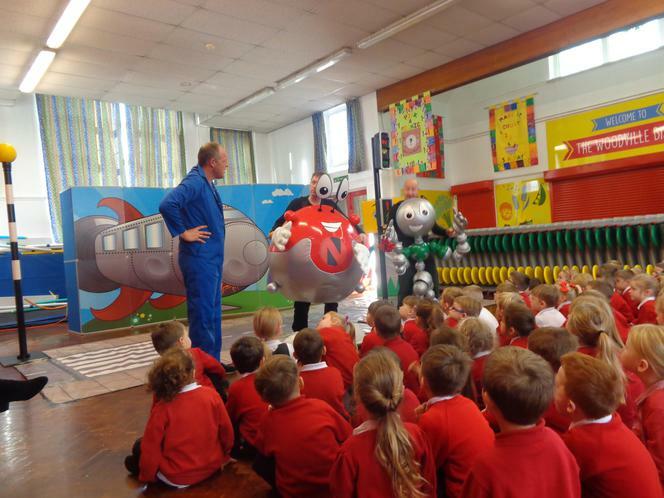 The performance was aimed to inform and educate pupils about being safer pedestrians and using safer crossing places. 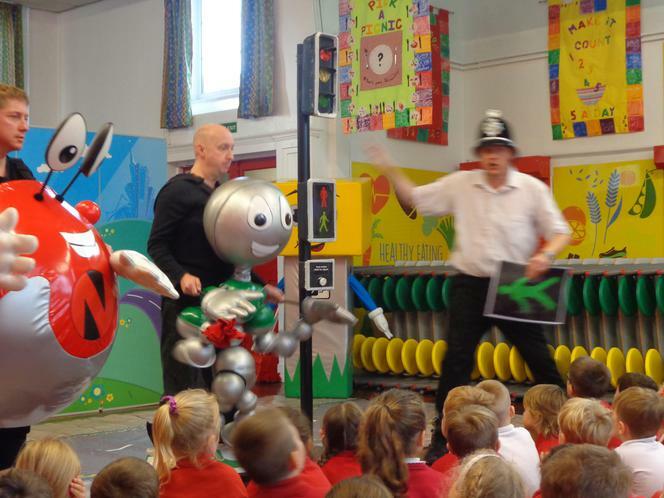 Togo and Nogo were aliens from outer space whose space craft had broken down, in search of a mechanic they needed to cross the road and were helped by the policeman and lollipop man. 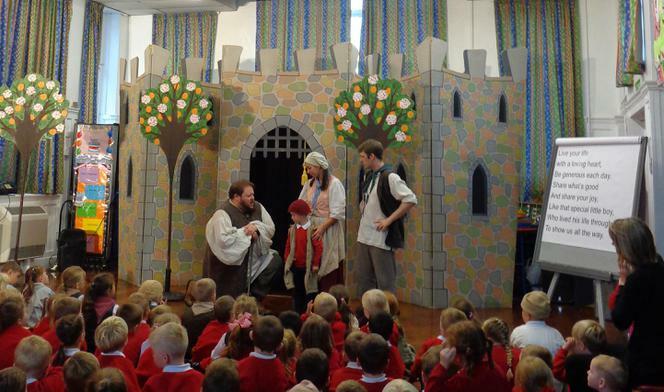 All the children (and staff) thoroughly enjoyed it. 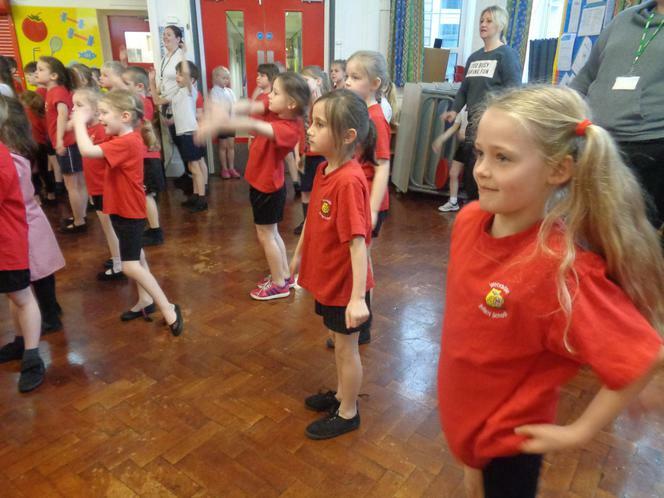 Today the Infant school had a visit from Image Musical Theatre company. 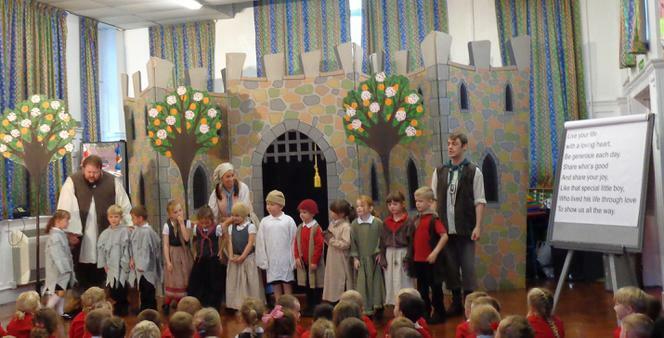 They performed the story of 'The Selfish Giant' by Oscar Wilde, assisted by some of our pupils! 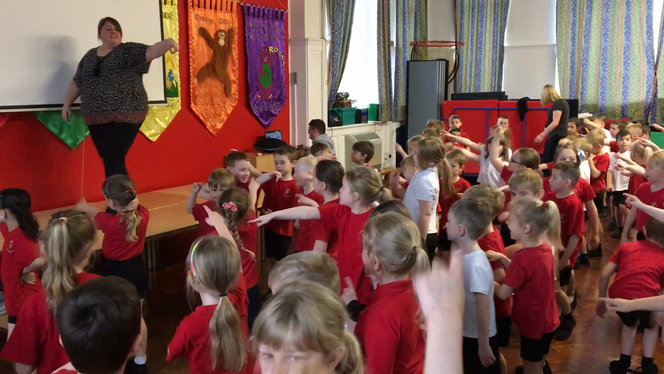 We had a great time joining in with the singing. 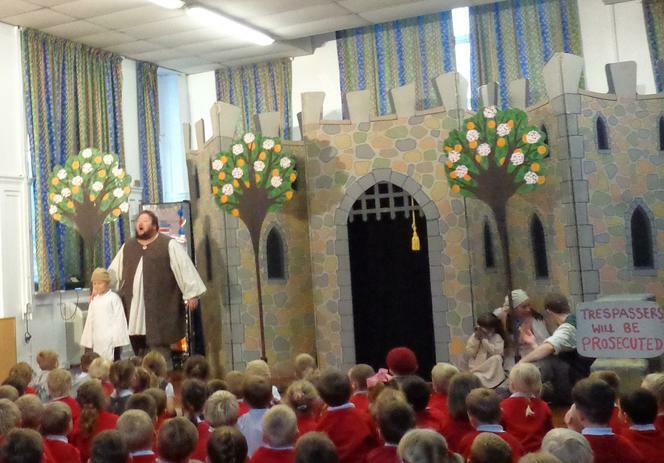 Some of us were scared when we first saw the giant and how mean he was to the children of the village but we were glad when he learned how to share and became a big friendly giant. 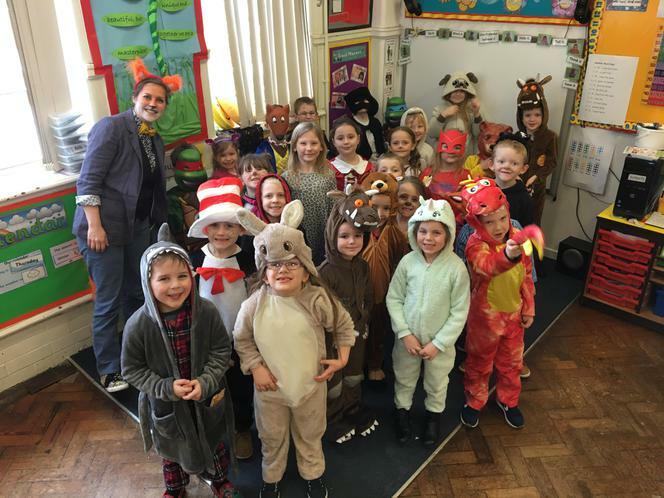 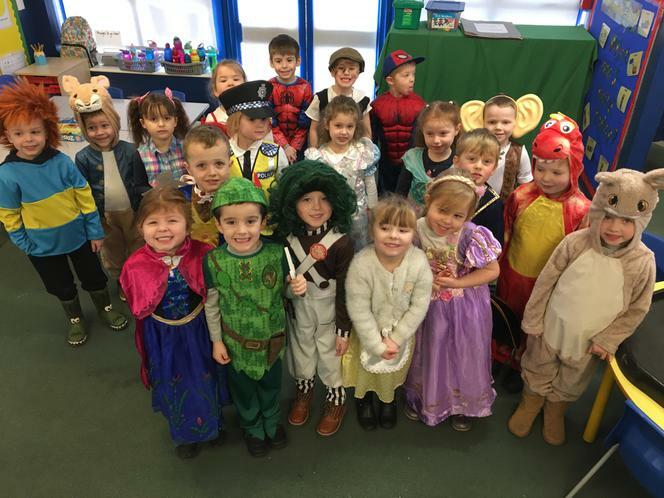 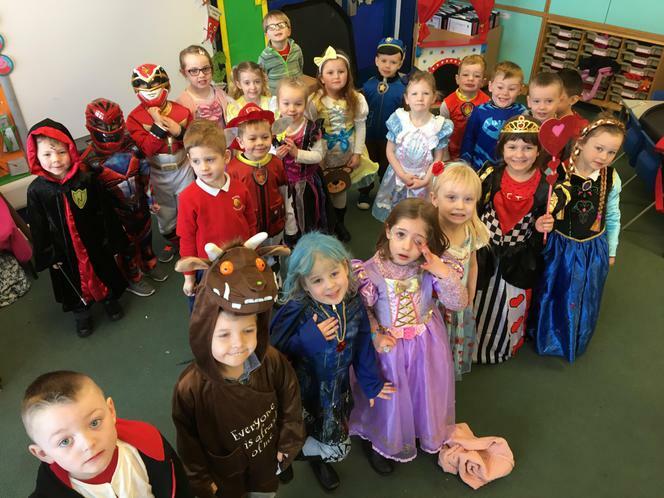 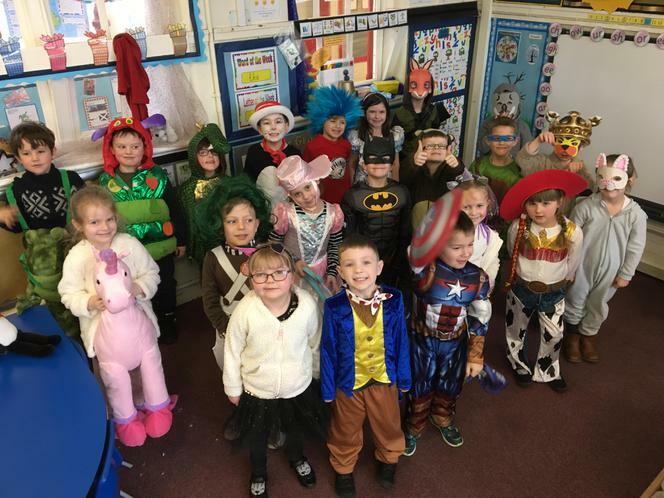 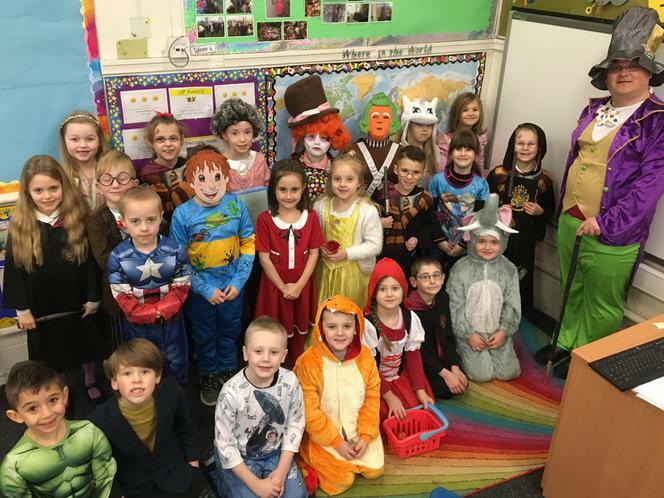 Foundation Stage children sat beautifully through their first whole school event. 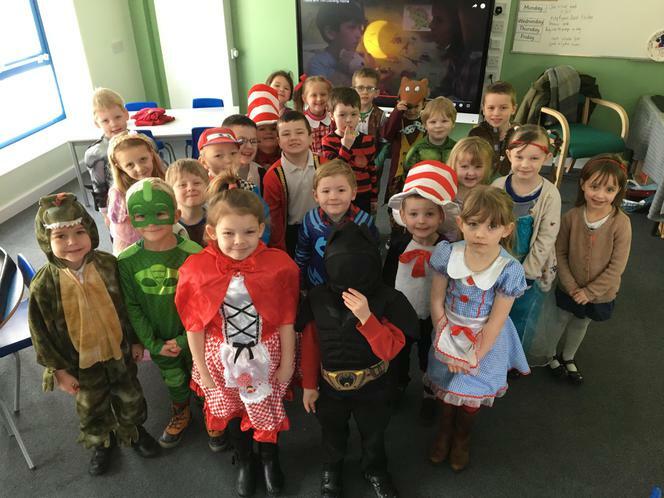 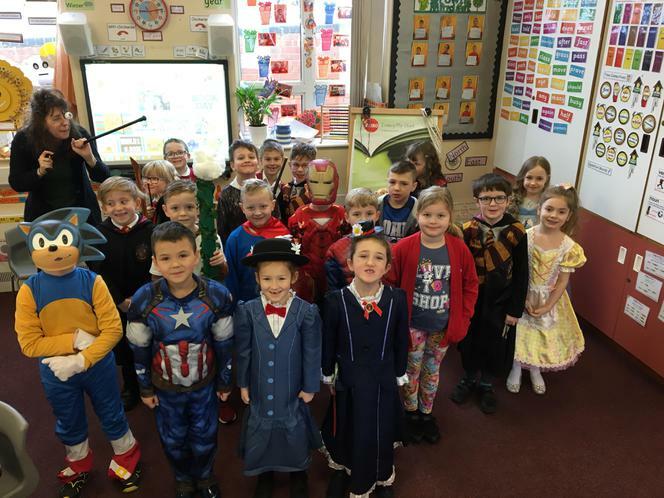 The teachers were very proud of them. 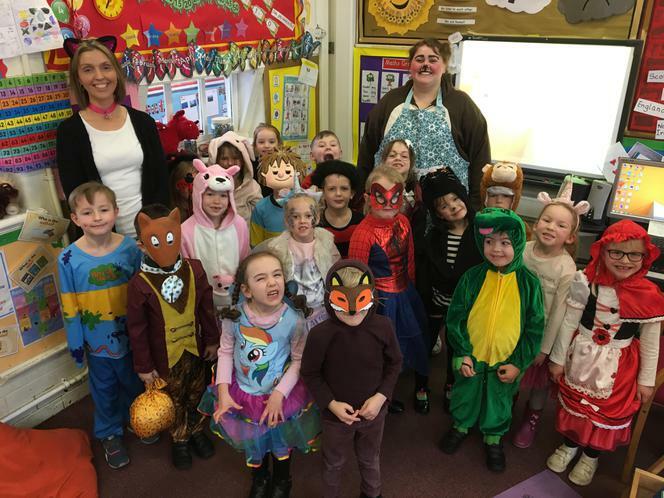 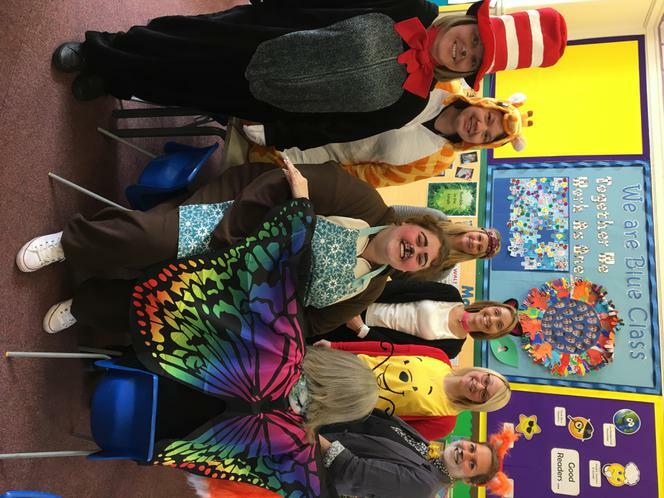 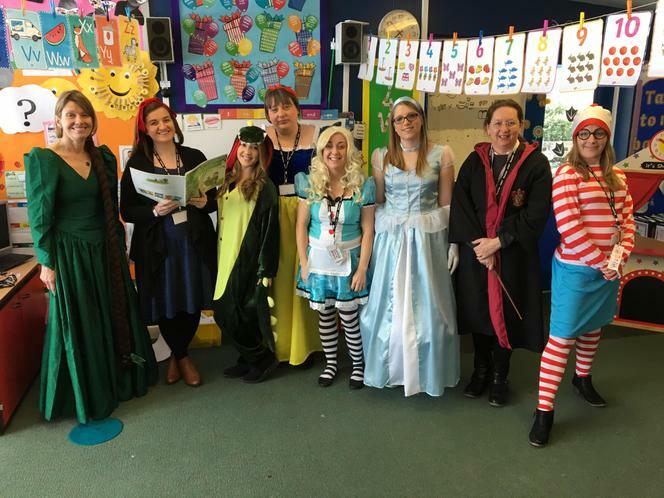 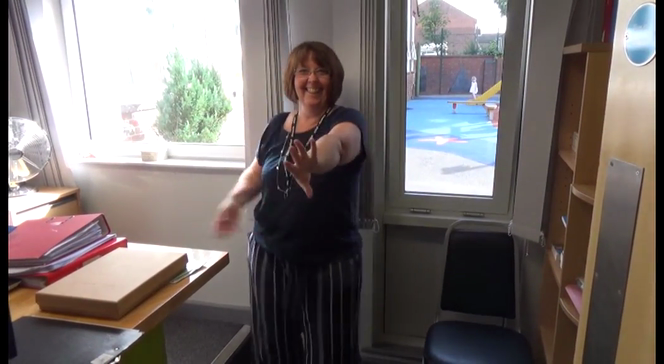 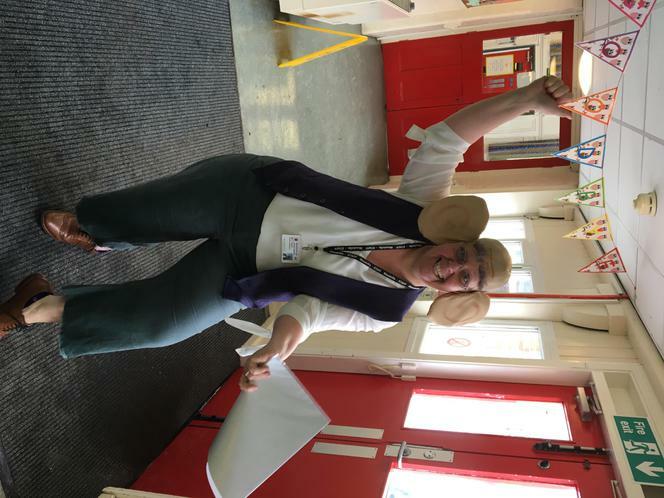 To celebrate another amazing year the infant staff have been "shaking their tail feathers". 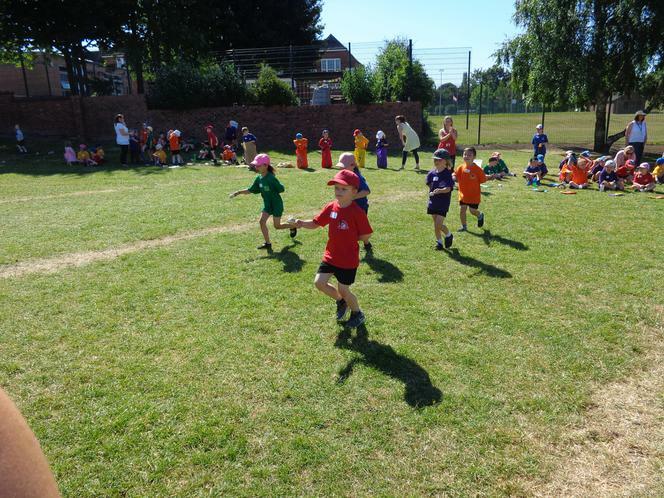 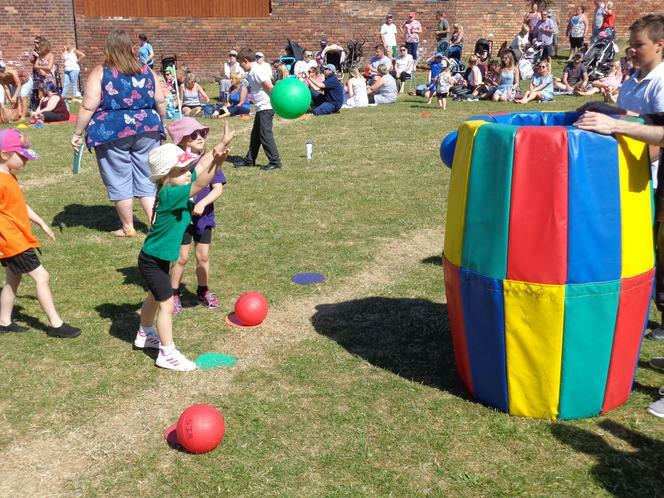 We hope you all have a fun packed Summer and we will see you in September ready for another fabulous year of learning. 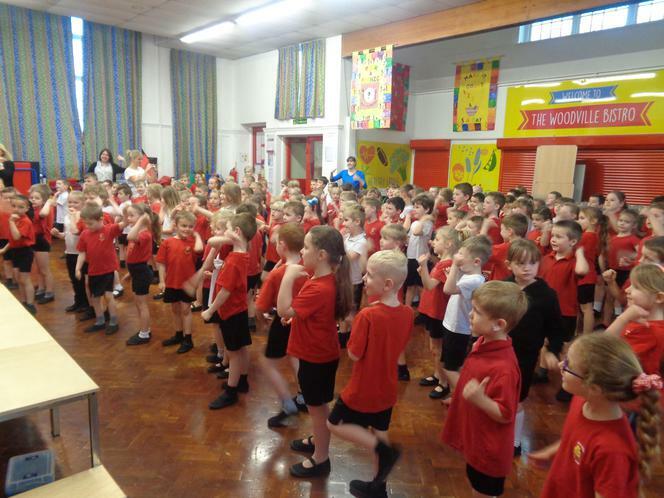 Red ,Blue and Green Classes enjoyed sharing their musical talents with the rest of the school during an assembly. 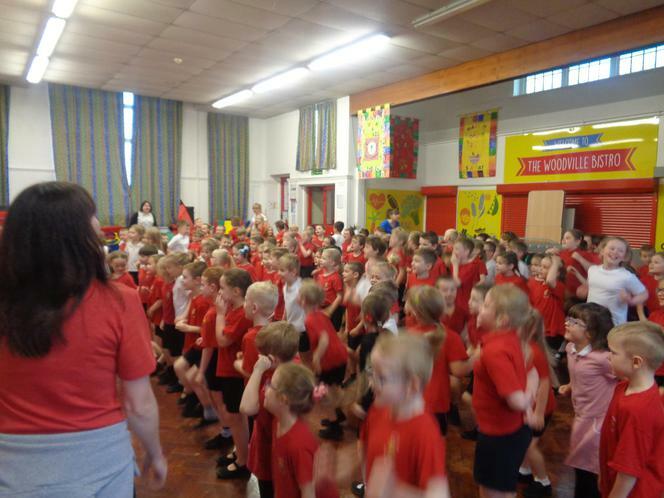 Orange, Yellow and Purple Classes showcased their musical talents in a special assembly. 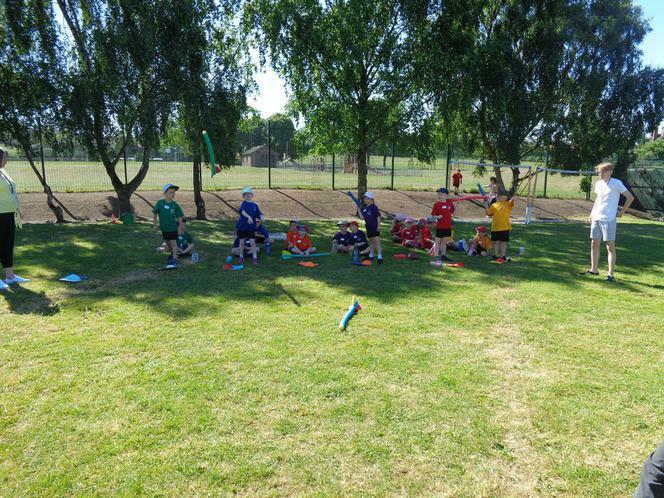 Uploaded by Woodville Federation on 2016-12-15. 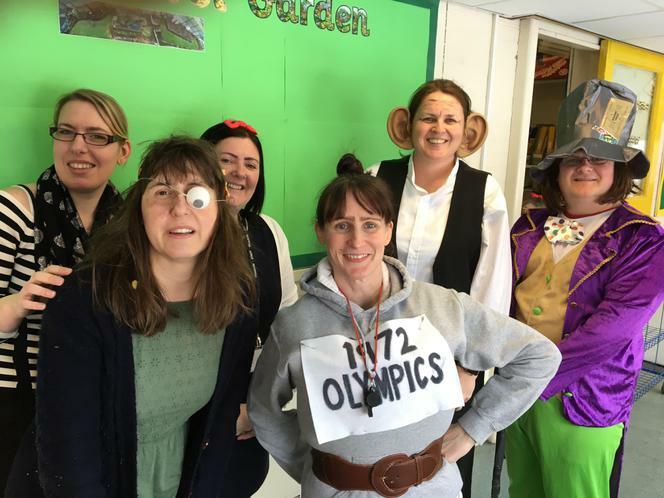 Uploaded by Woodville Federation on 2016-06-12.